Summers mean spending more time outdoors, inviting friends and family to backyard barbeques, telling fables by the bonfire, and camping and star gazing in the forest. Summers also mean unwanted mosquitoes, bugs, and ticks. If you happen to be a bug magnet, they can not only put a kink in your party but also leave you with bites that lead to some pretty nasty rashes. Some bugs also carry disease-causing viruses. Most of us depend on commercial bug repellants, as they are convenient to carry and use. However, the nasty smell that they give off is unappealing, especially for kids. The awful smell can be attributed to a chemical known as DEET, found in most commercial insect repellants. Although this chemical is a strong deterrent for bugs, it can also wreak havoc on your health. Some of the reported side effects include rashes, headaches, respiratory troubles and disruption in neurological functions. 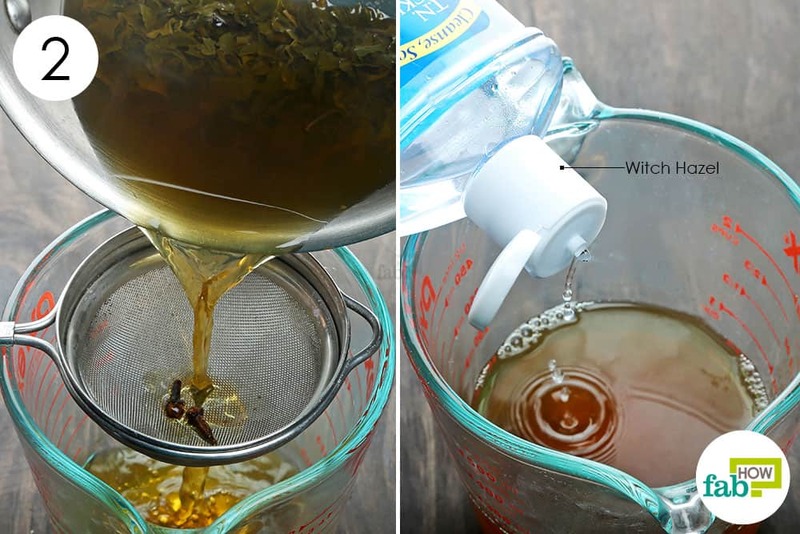 To keep yourself safe from the bugs as well as harsh chemicals, you can easily make your homemade DIY bug spray for your skin. 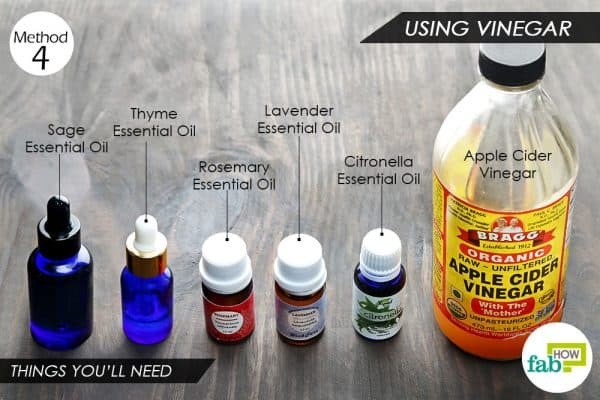 Natural ingredients like essential oils, herbs, and apple cider vinegar work as good as any store-bought bug spray. They are a fraction of the cost and do not pose any threat to your health. 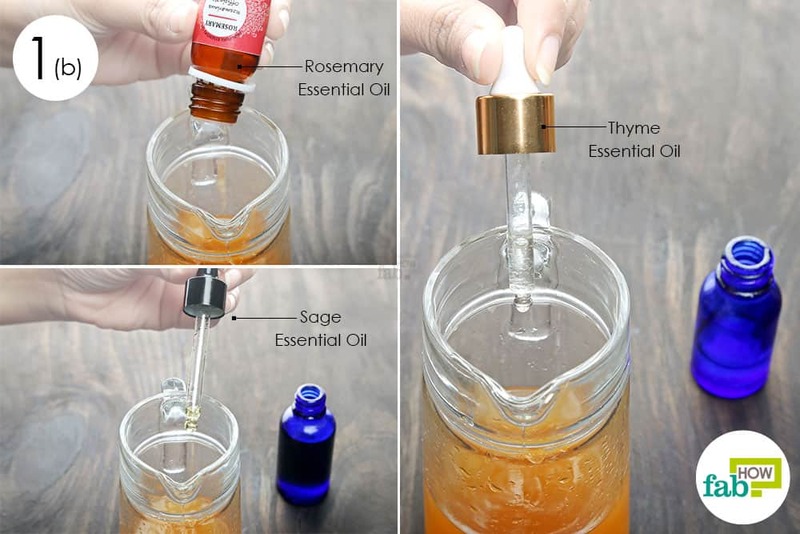 To help you enjoy your next outing without fretting about the annoying bugs, here are seven nontoxic homemade DIY bug sprays for your skin, you can make at home. Bug sprays that use essential oils should be stored in a dark and cool place to maintain the potency of the oils. The average shelf life of these sprays is 2 to 3 weeks when stored away from sunlight. If you are staying outside for a long time, reapply the DIY spray after 2 to 3 hours to keep your skin protected. 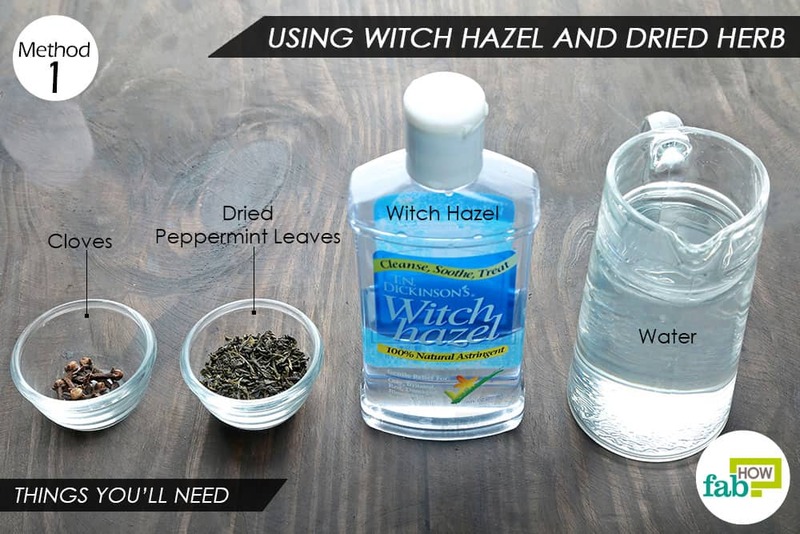 Witch hazel is an alcohol extract derived from the Hamamelis virginiana shrub. The liquid has astringent properties that help soothe the skin and also heal skin rashes and irritations. It can also work effectively as a mild bug repellant when combined with other dried herbs or essential oils or to treat bed bug bites. Strong-smelling ingredients like peppermint and cloves work well for warding off bugs. However, you may need to apply this DIY bug spray several times to maintain the protective cover. Add 1 tablespoon of dried peppermint leaves to it. Add 7 to 8 cloves as well. Bring the water to a boil over high heat, then let it simmer for 2 to 3 minutes. Turn off the heat and cover the pan with the lid. Allow the liquid to cool off completely. The volatile oils will condense in the pan and dissolve in the liquid. Once the liquid has cooled to room temperature, strain it into a container. Add 1 cup of witch hazel. 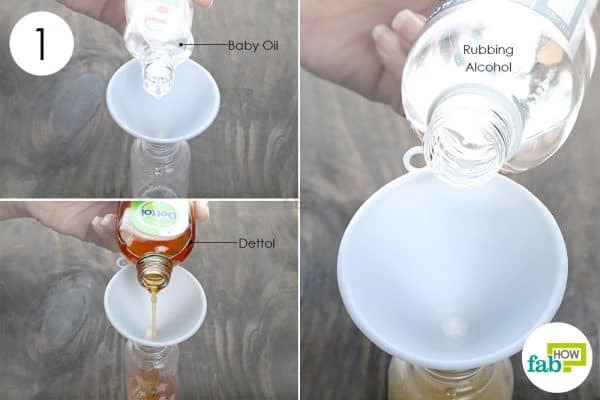 Pour the prepared solution into a medium-sized spray bottle. When stepping outside, simply spray the solution all over your exposed skin to keep the bugs from bothering you. 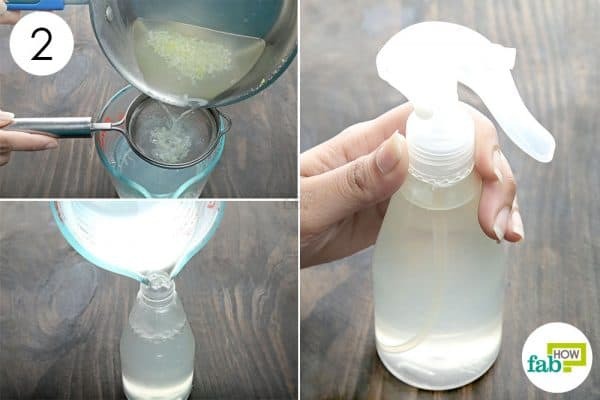 Rubbing alcohol can also help you repel and kill bugs. Pure alcohol dehydrates and kills any pest that it comes in contact with, making it one of the best ways to get rid of chigger bites as well. When used in a bug spray along with tea tree essential oil, the strong fragrance helps repel the bugs. The alcohol also acts as an emulsifier for the essential oil. 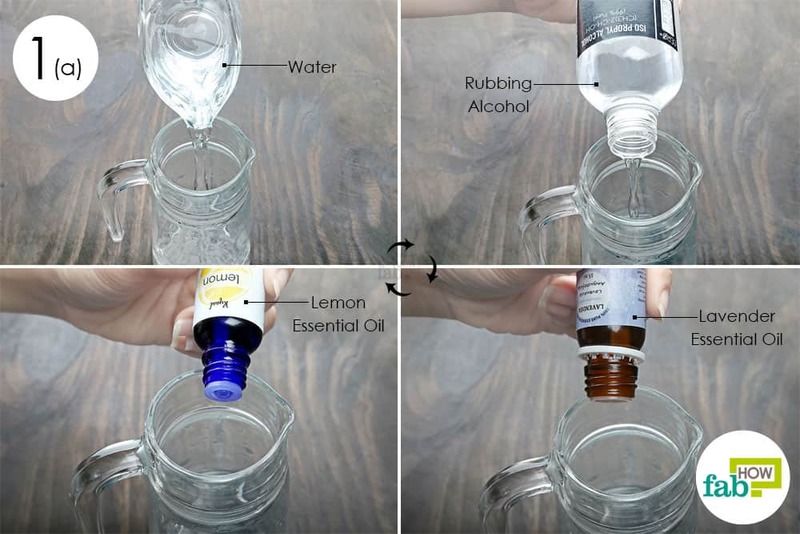 Since rubbing alcohol can dry out your skin, this homemade DIY bug spray includes vegetable glycerin to keep your skin moisturized. It also helps the essential oil adhere to your skin. 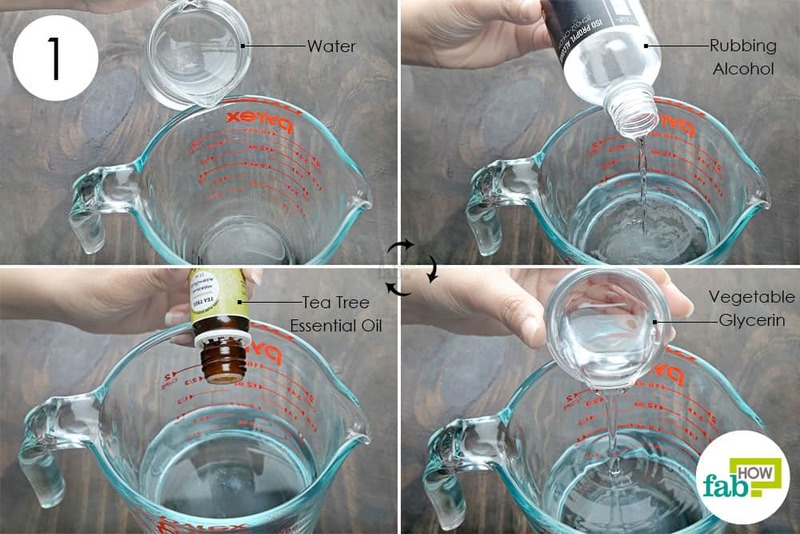 Pour 1 cup of distilled water into a glass measuring cup or a bowl. Using distilled water will help increase the shelf life of the spray. 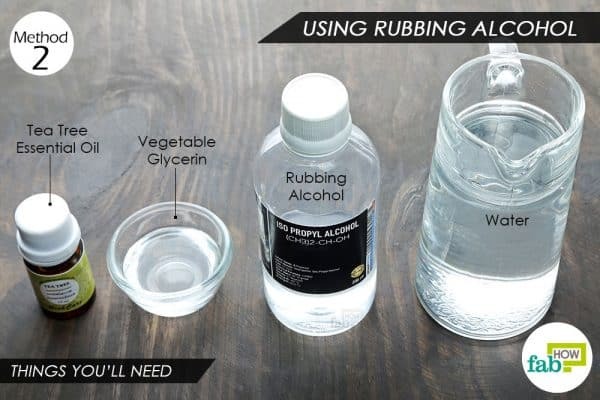 Add 1 tablespoon each of rubbing alcohol and vegetable glycerin. Add 30 drops of tea tree essential oil. Use a spoon to mix the ingredients thoroughly. Use it like any other bug spray for your skin. Essential oils can easily give commercial bug sprays a run for their money. These strong volatile oils not only smell great but also come with several therapeutic benefits. 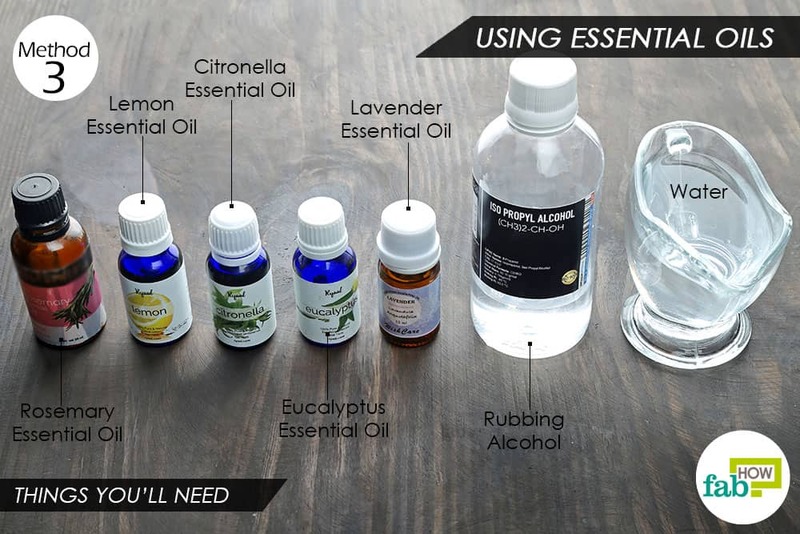 Essential oils like eucalyptus, citronella, lemon, and lavender are great individually for dealing with mosquitoes, gnats, mites and other insects. 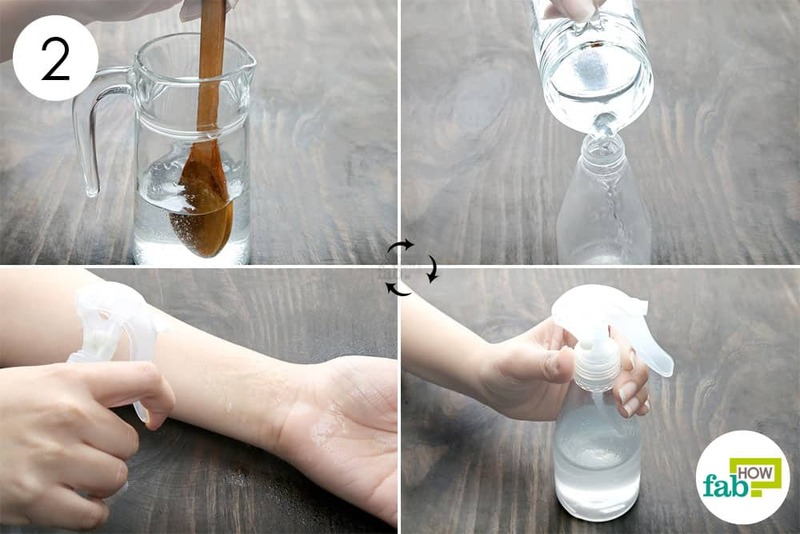 Together, they create an incredible DIY bug spray for your skin to take care of all kinds of bugs. Pour ½ cup of water into a container. Add 2 tablespoons of rubbing alcohol to it. Add 20 drops of lavender and 10 drops of lemon essential oils. 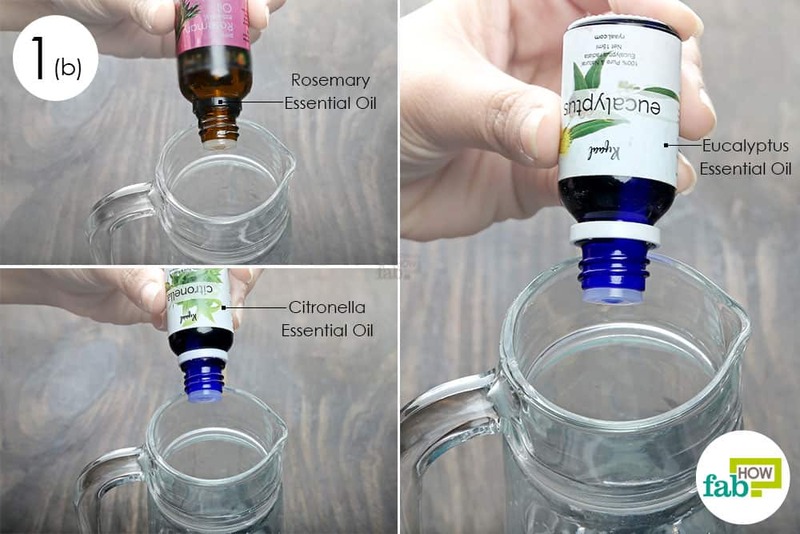 Add 30 drops of citronella essential oil. Add 10 drops each of rosemary and eucalyptus essential oils. Stir well to blend all the ingredients thoroughly. Use your DIY bug spray on your skin whenever you go outdoors. Is there anything that apple cider vinegar cannot do? Apart from being a health panacea, the pungent vinegar can also be used as an effective insect repellant. 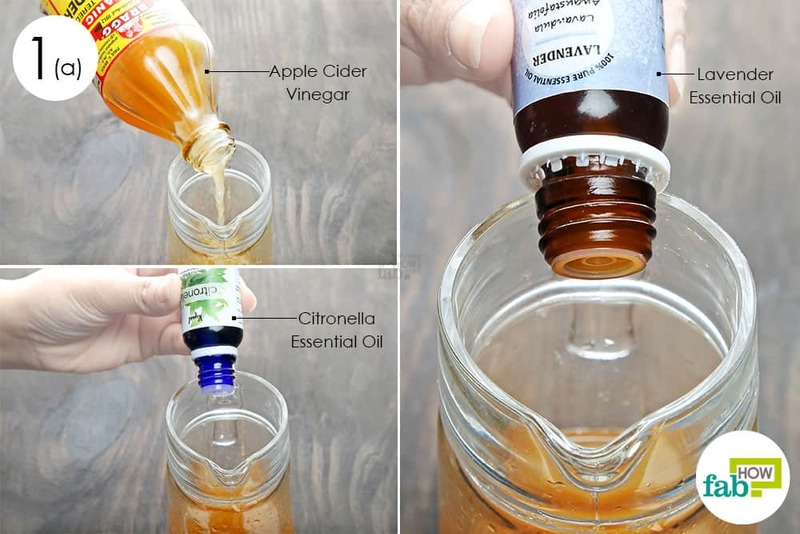 However, apple cider vinegar alone will not be as effective in keeping the bugs away. 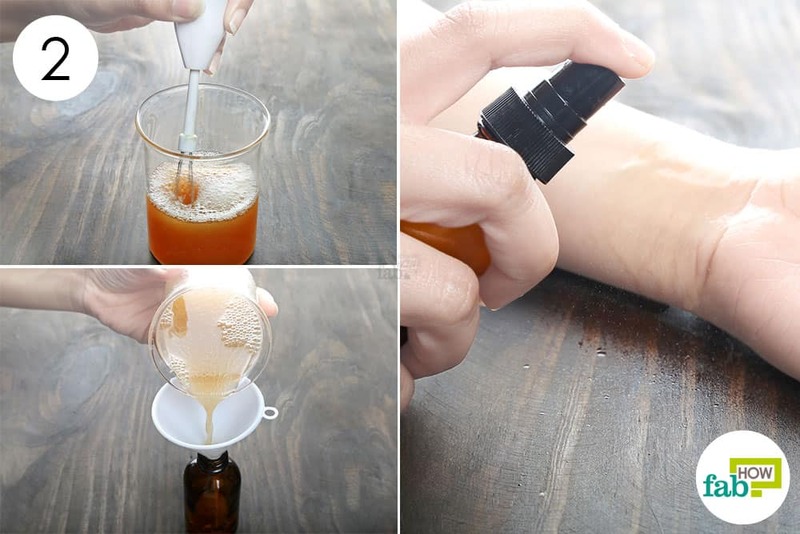 You will need to add essential oils to make a strong repelling homemade DIY bug spray for your skin. Pour ½ cup of apple cider vinegar into a container. Add 20 drops each of citronella and lavender essential oils. Add 20 drops each of rosemary, sage, and thyme essential oils. Use a spoon to mix all the ingredients well. 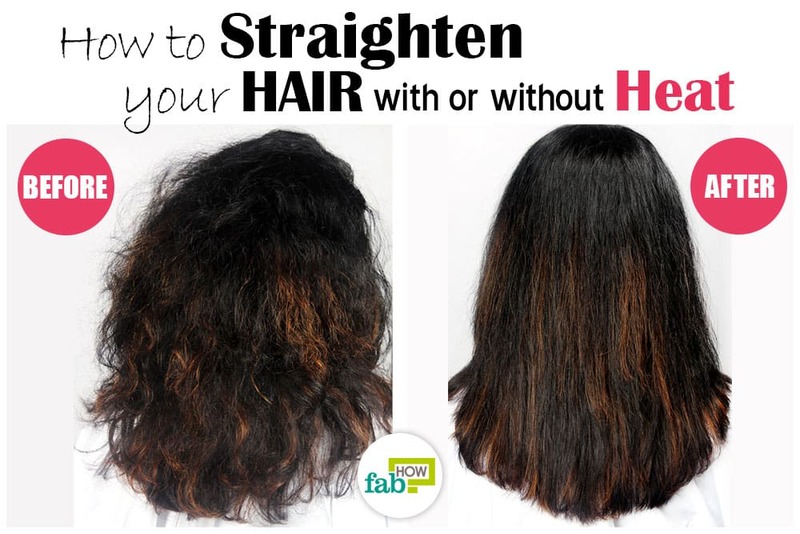 Pour the blend into a small spray bottle. 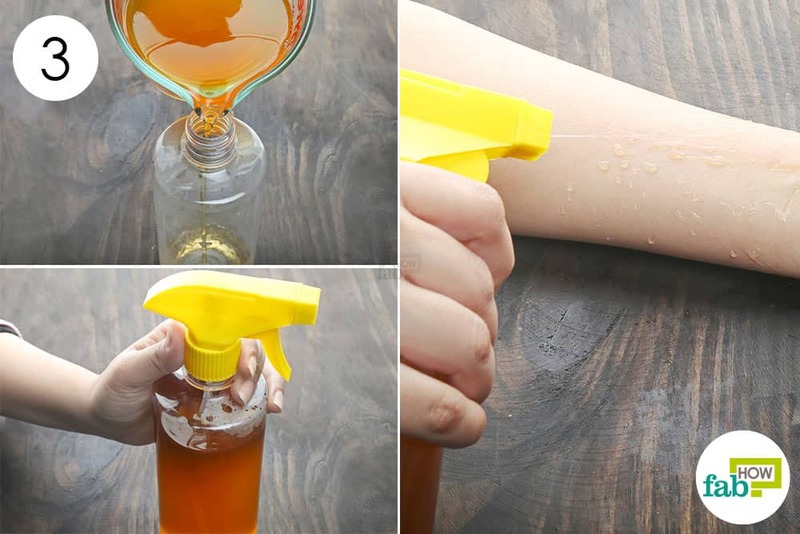 Spray the solution on your skin to protect yourself from bug bites. Caution: If you have sensitive skin, dilute the apple cider vinegar with ½ cup of distilled water. Bugs are no fan of garlic’s strong odor and can easily be repelled by it. In fact, you can also use garlic as a bug repellant for your plants. 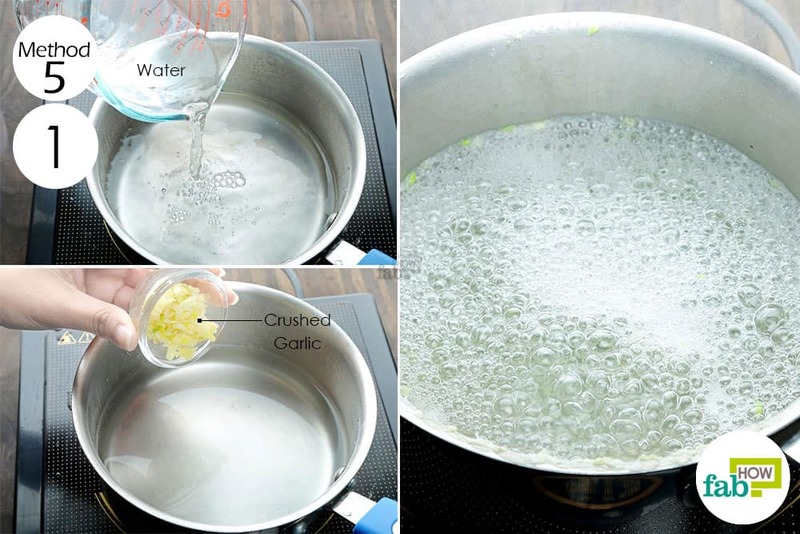 All you need to do is boil some crushed garlic in water, then use the infused water as a bug spray. Pour 2 cups of water into a saucepan. Add 3 to 4 cloves of garlic, peeled and crushed. Bring the water to a boil on high heat, then let it simmer on low heat for 10 to 20 minutes. 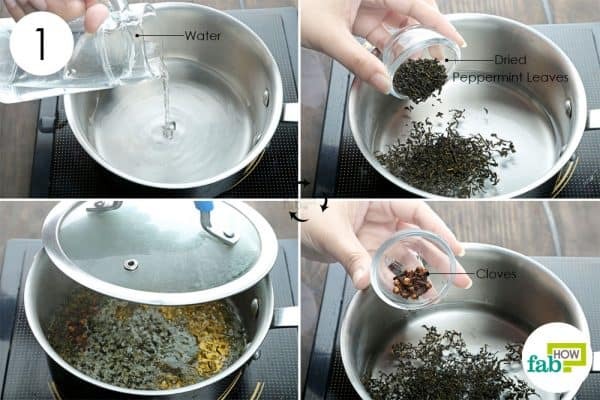 Strain the liquid into a container and allow it to cool down completely. Use your DIY bug spray as needed. Caution: Use only light mists on your skin, as garlic can burn your skin. Lemon eucalyptus essential oil is another potent oil that can be used in a bug spray. 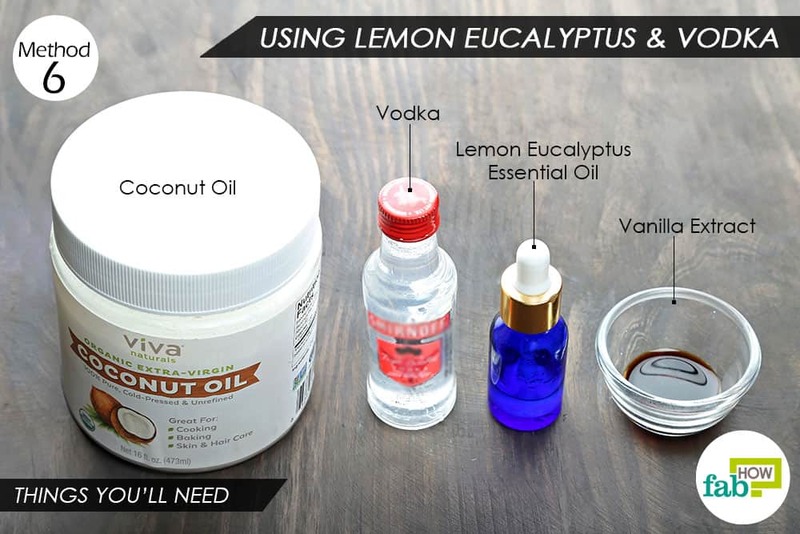 This spray recipe uses vodka as an emulsifier for the essential oil. It also uses vanilla extract to add a pleasing fragrance to the spray. Since vodka can dry out your skin, you can optionally add coconut oil to counter the drying effect. 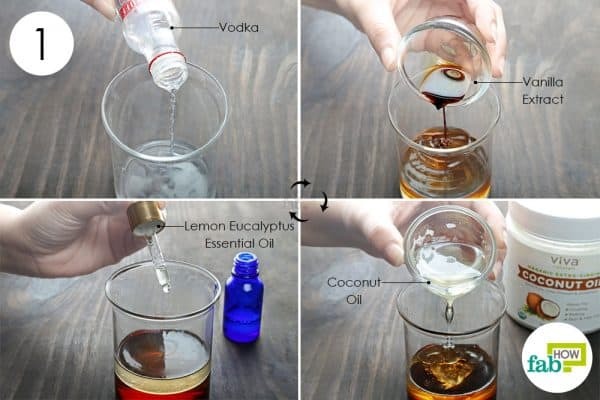 Pour 4 tablespoons of vodka into a container. Add 12 or 13 drops lemon eucalyptus essential oil. Optionally, you can add 2 tablespoons of coconut oil. Use a motorized blender to whisk together all the ingredients. Use it on your skin like a regular bug spray. No kidding! Baby oil can be used as a bug spray. 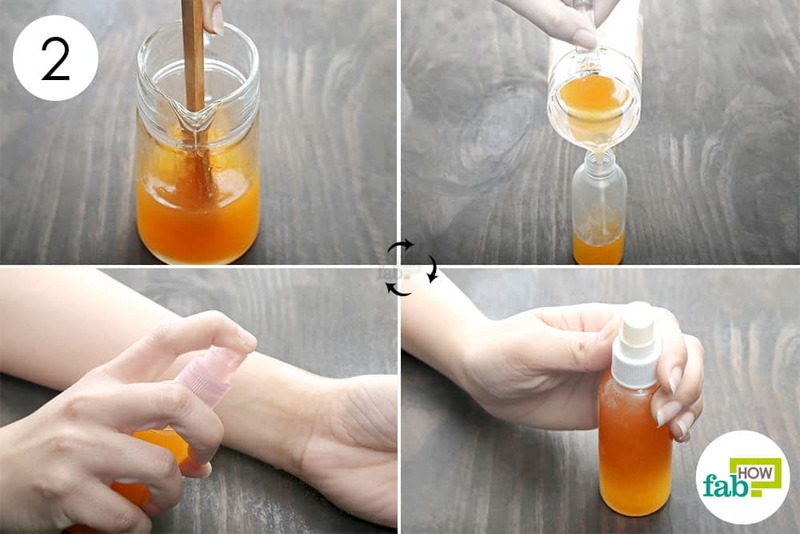 It works because as soon as the bugs land on your skin, their bodies get coated with the oil. Since they breathe through their bodies, they suffocate and die before they can gnaw their fangs into your skin. This spray also contains Dettol that works as a disinfectant to protect your skin. The rubbing alcohol in it serves as an emulsifier for the oil. 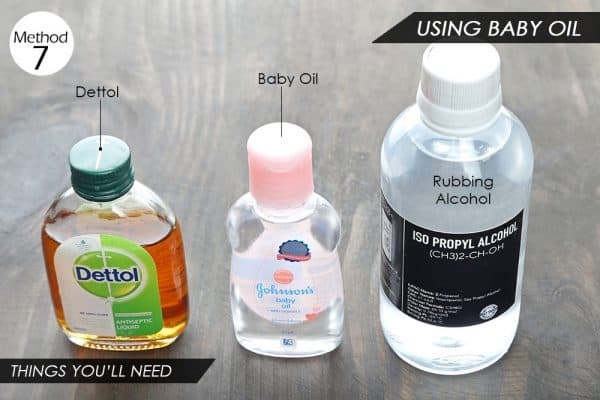 Pour equal quantities of baby oil, Dettol and rubbing alcohol into a small spray bottle. 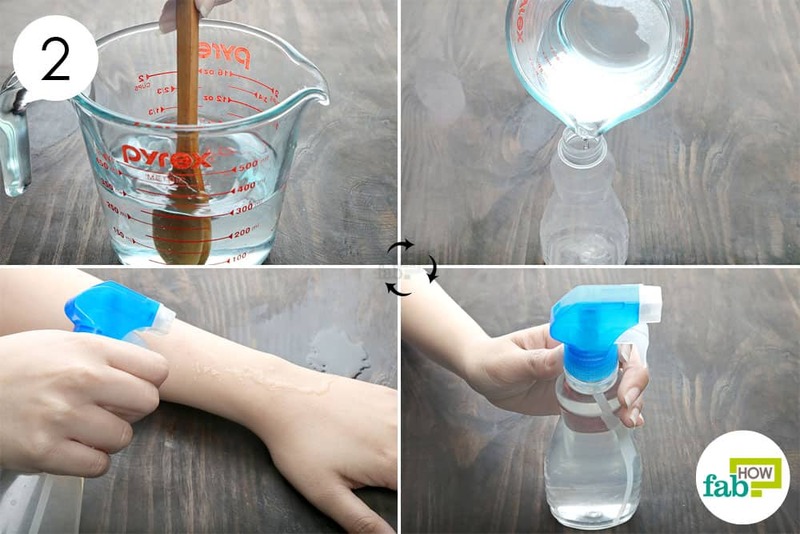 Shake the spray bottle well to blend all the ingredients. Use your homemade DIY bug spray on your skin to keep away the pesky crawlies. You can also rub lavender flowers directly on your skin, especially on the warm areas of your body, to repel insects. Rubbing basil leaves on your skin can also help repel mosquitoes. Plants that belong to the mint family also work well as bug repellents. These include peppermint, spearmint, catnip and others. If you are a fan of gardening, you can use these DIY organic pesticides to save your plants from unwanted pests.